David Bowie Estate Planning | Bauer Law Office, P.A. The year 2016 has proved a trying one for the world of entertainment. A slew of unexpected celebrity deaths has hit the music industry especially hard. Founding member of the Eagles and prolific songwriter Glenn Frey passed away at just 67 after complications from a case of pneumonia; Parkinson’s Disease claimed Earth Wind and Fire founder Maurice White; and various other health problems took famed guitarist Paul Kantner of the psychedelic rock band Jefferson Airplane after a heart attack earlier in the year; but most shocking of all, was the death of visionary artist, musician, actor, and legend David Bowie after a short – and secret – battle with cancer. Very few “pop artists” could claim the long lasting, unique, and continually cutting-edge career of David Bowie, who passed away just two days after releasing his 25th studio album, known as “★”or Blackstar, on his 69th birthday. Though aspects of Bowie’s long and successful career are known to many either through his musical talents or acting roles, Bowie’s efforts to take control of and successfully grow his own finances and estate were revolutionary as well. Bowie was the first and perhaps only artist to successfully sell stock in not only his royalties and performances, but also in himself. 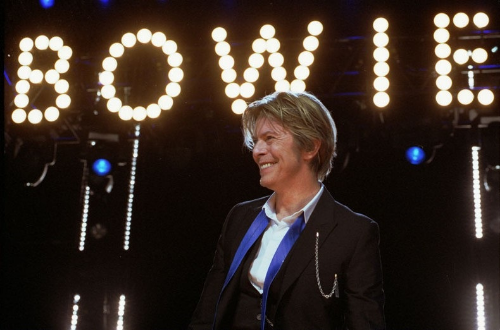 “Bowie Bonds”, as they were called, operated like an annuity where, in 1997, a ten-year investment in Bowie’s future career carried a fixed rate return of 7.9%. The Prudential Insurance Company purchased shares of the 55-million-dollar stake and were paid off in full during the ten-year term. Bowie’s investment banker at the time said this creative financial move was crucial to allowing Bowie to achieve his own financial security for the rest of his life; yet David Bowie’s motivation to do so was to provide security and protection for his wife and children as well. Interested in financial planning from a young age, Bowie was adamant that his assets pass directly onto his family. The “Bowie Bonds” transaction both allowed him to save on taxes while his estate would benefit from his extensive music catalogue. Through trusts both revocable and irrevocable, Bowie was able to pass his assets – somewhere in the neighborhood of $200 million – to his wife, children, and other designees in a manner that was the most tax-efficient, as well as private, since a will becomes a public document once it is filed with the probate court after death. Unfortunately, even the rich and famous can fail to do proper estate planning, which can result in painful, messy and memorable estate battles such as those of John Lennon and Kurt Cobain. David Bowie’s well-planned estate should serve as a lesson for everyone else. Follow his lead and plan for your loved ones today. Contact the South Florida law firm, Bauer Law Office P.A. for your Estate Planning, Tax Planning, and Real Estate Law needs. Call (305) 712-7979 for a free case evaluation.